GRC Solutions is a recognised leader in the online compliance training market. As a specialist compliance eLearning publisher, we know what works in compliance training and can assist your organisation in reducing mandatory training hours, minimising push back from employees and improving training outcomes. We publish a broad range of legal compliance, risk management and ethics training courses and have offices in New York, Singapore and across Australia to support an expanding number of jurisdictions around the world. We specialise in adaptive eLearning for compliance, improving speed to competency and reducing mandatory training hours. With our award winning Compliance Learning Management System, Salt® Web, and our adaptive Learning Content Management System, Salt® Compliance, we help hundreds of companies navigate complex legal and regulatory environments and build resilient organisational cultures. Our training courses can be taken off-the-shelf or tailored for any industry. We also build custom courses to suit client’s internal policies & procedures. We currently work with clients in financal services, pharmaceuticals, construction, mining, oil, and healthcare industries as well as not-for-profit organisations and government bodies. 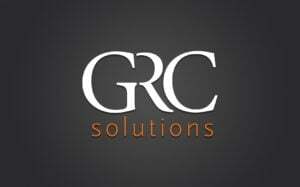 Discover the Solutions GRC Solutions has to offer.